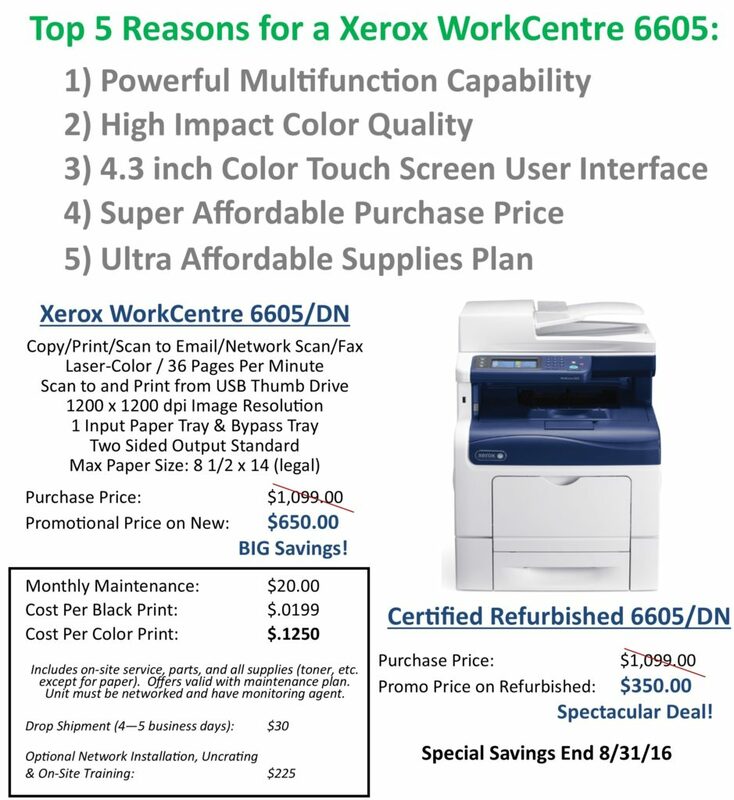 The Xerox WorkCentre 6605 is our most popular model for small businesses in Southern Maryland. Check out the top 5 reasons to choose a 6605 and our Summer Savings specials below. For additional information on the Xerox WorkCentre 6605 including an overview video, click here.